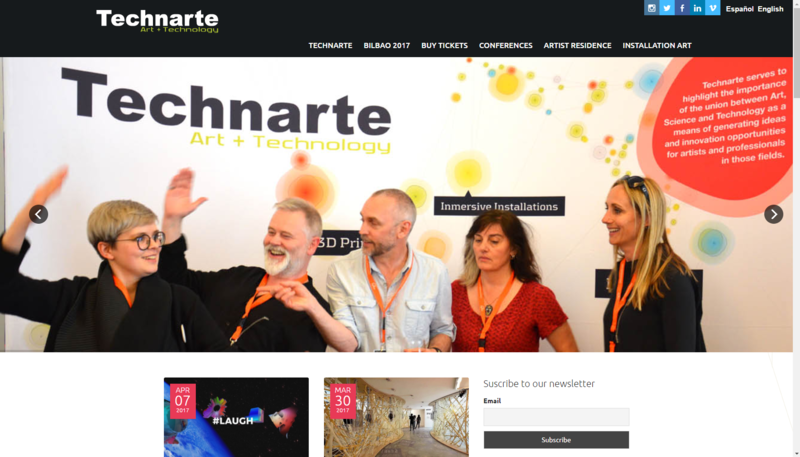 i-DAT and Tate at Technarte 2017 Bilbao. 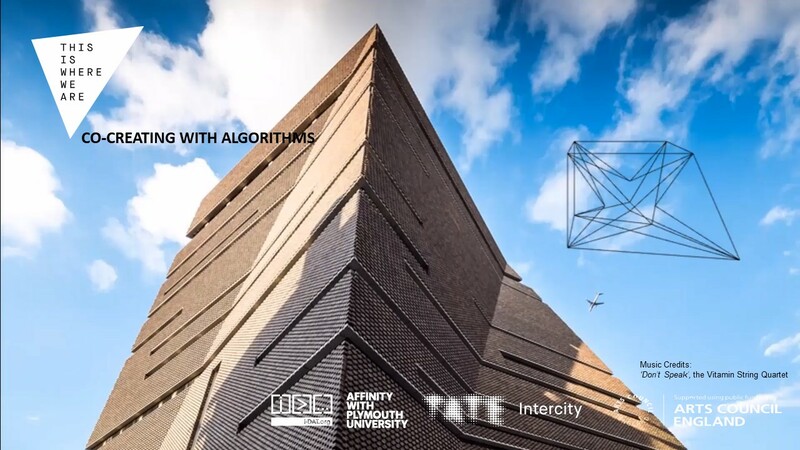 ‘This Is Where We Are’ (TIWWA) was an immersive and interactive algorithmic sculpture fuelled by the data we collectively generate, created by i-DAT working with Tate Collective London and Intercity for the opening of the new Tate Modern building. London, UK, on the 17 – 19 June 2016. This technological fusion of interactive light and sound asks audiences to consider the data they generate and the algorithms that increasingly influence their behaviour through offering a glimpse into a future where we work rest and play with and through algorithms. The event saw 197,000 people interact with TIWWA through direct contact with its mediated surfaces and through online real-time interactions through social media and the TIWWA AI chatbot.